Intarsia is an ancient timber artform that is rarely seen and is most sought after. Timbers are hand-selected according to colours and grain patterns. Next, each piece is trimmed to size and added to the design. The craftsman then handcarves each individual piece to produce the 3D effect. Once complete, all the pieces are assembled and glued to a thin ply backing sheet, which is trimmed when dry. To finish, a durable protective coating is applied....and so...another beautiful unique Intarsia artpiece is created. Because this is a handmade item, colours may vary slightly. 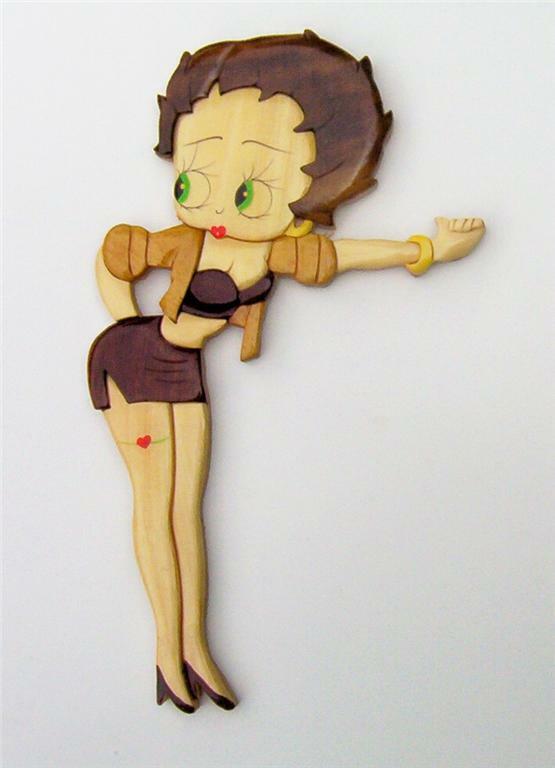 HITCHHIKER DESIGN A - Approximately 37cm high x 22cm wide - LAST ONE ! UMBRELLA DESIGN C - Approximately 34cm high x 15cm wide - ONLY 2 LEFT ! 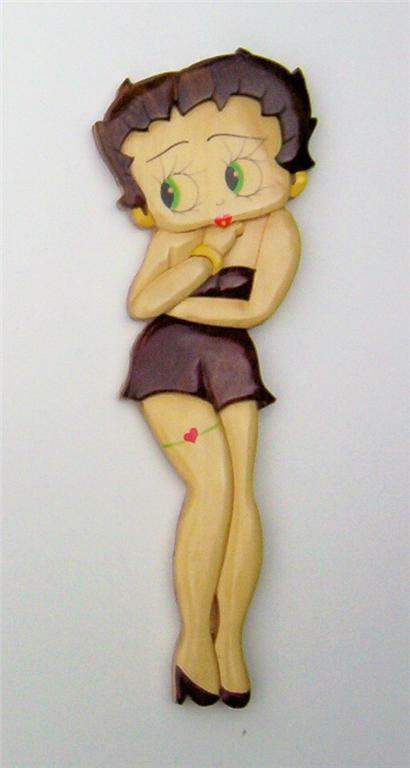 Click the button below to add the BETTY BOOP WALL ART to your wish list.